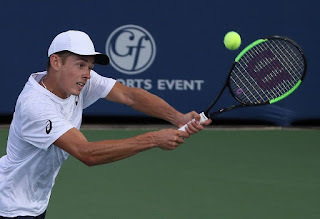 Follow along as NextGenATP Aussie Alex de Minaur takes fans through a day in his life at the Dell Technologies Hall of Fame Open in Newport. Video courtesy of the Dell Technologies Hall of Fame Open. Alex de Minaur and compatriot Jordan Thompson explore Bowen's Wharf in Newport, Rhode Island on Sunday before beginning their campaigns at the Dell Technologies Hall of Fame Open. Video courtesy of the Dell Technologies Hall of Fame Open. Alex de Minaur talks about breaking into the Top 100 of the ATP Rankings, en route to the final at the ATP Challenger Tour event in Surbiton. 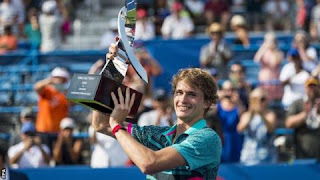 Alex de Minaur looks forward to his opening round match at the Miami Open presented by Itau after qualifying into the main draw. Felix Auger-Aliassime and Alex de Minaur discuss what it's taken to succeed at the BNP Paribas Open.